Wow can you believe it is Wednesday already!!! 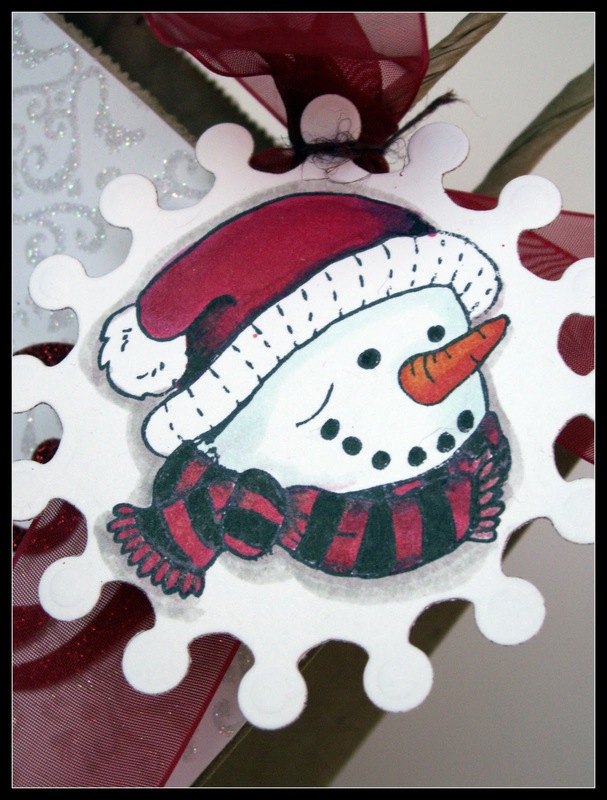 Time seems to be zipping by but in true Wednesday fashion I am back to share a project for JustRite Stampers newest Wednesday feature, 12 Weeks of Christmas Blog Hops #6! 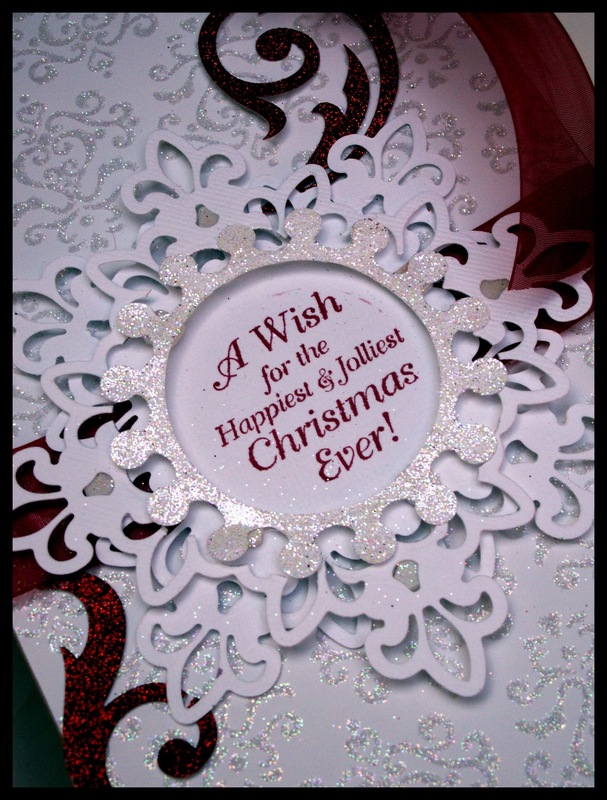 Every Wednesday up until Thanksgiving some of your favorite designers will be joining some of the JustRite design team for a series of Christmas blog hops, showcasing JustRite’s entire Christmas Collection of stamps! This week, it’s most of the Copic design team and Certification instructors! So mark your calendars for Wednesdays at 9am Central for great Christmas gift, card & project ideas, starting at the JustRite Inspiration blog! perfectly fabulous in every way! WHOA, Kazan. This is beautiful! Who wouldn't want to see a pretty present like this on Christmas morning?! Love all the layers and how darn cute is that snowman. They are defiantly my kind of man. Only around for a couple months if that!! Oh My !! Stunning! This is the greatest gift bag EVER!!! Love it! What a great project! Love the bag with the oh so fabulous tag! Beautiful, Kazan! Love the white bag and white accents! 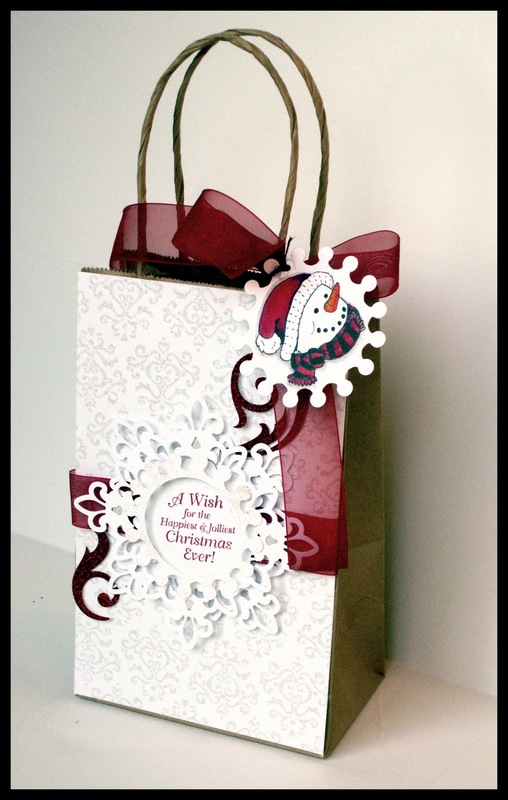 Gorgeous gift bag, Kazan! Love all the wonderful details! WOW, this is just GORGEOUS all the day...love that "snowflake" center you created!!! Very pretty. Wonderful gift bag. Love this Kazan!! Beautiful snowflake!! Love the gift bag - perfect for under the tree with a little something for me? LOL And who doesn't like snowmen? Totally GORGEOUSNESS!!! Never had heard of Post-It Craft Paper, so I'll be seeking that ASAP now!!! TFS!!! Awesome girlfriend!!! What a beautiful gift! And love the way that you did the snowflake sentiment - that is so cool! And what a great tip! Rather cool blog you've got here. Thanx for it. I like such topics and anything connected to them. I would like to read a bit more on that blog soon.